this week to pick one of our past favs to play along with. I chose FM97… to get out those markers and add some texture! I knew it was time to do some practicing. I have a long way to go though! This image is from Bugaboo Digi Stamps. Categories: Cards, challenges | Tags: Card making, Cards, coloring, cuttlebug, Happy Birthday, rubber stamps, spectrum noir pans, stamping | Permalink. Beautiful card! Love the colors. Great papers! I love it and the coloring is magnificient. If you think you have a long way to go….I think you are sadly mistaken. You look to be a “natural” to me and I just love how you colored it. Keep it up and the main thing is to have some fun with it. You did a great job with the coloring Nancy, dont be so hard on yourself! I love the embossed oval! 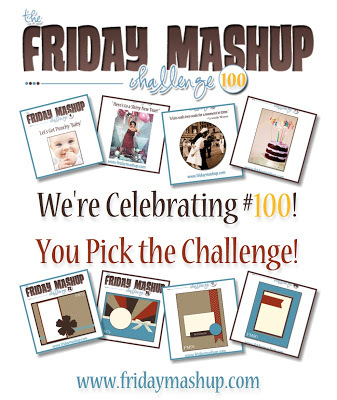 Thanks so much for joining us for the 100th Challenge celebration at The Friday Mashup! I don’t know why you think you have a long way to go with your coloring. 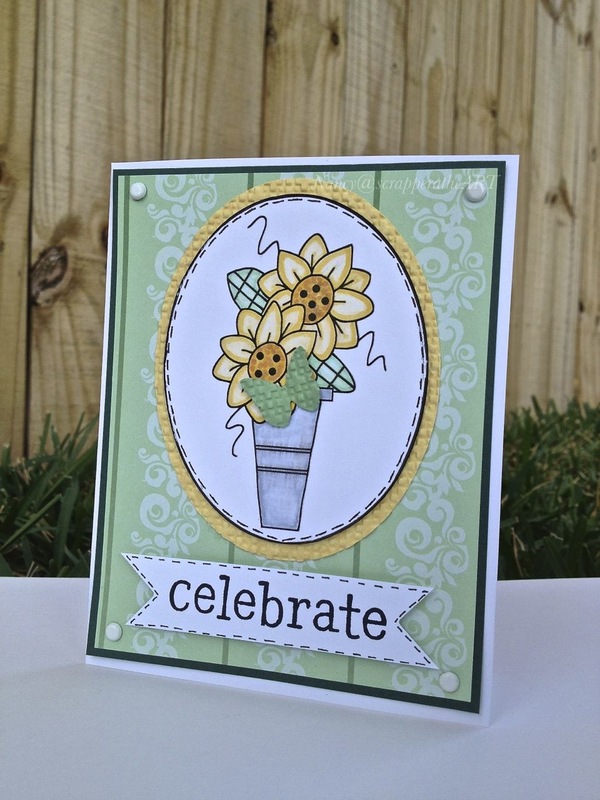 I think you did a phenomenal job on this card…it’s very pretty…and so springy!! Your coloring is very nice! Thanks for sharing with us at the Friday Mashup this week. love your coloring! great card! Thanks for playing along at Paper Playtime!